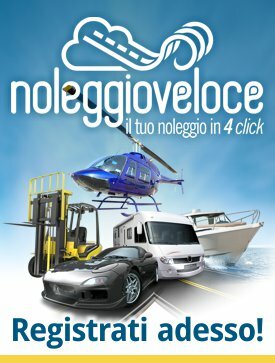 AUTOSERVIZI TROIANI SAS DI TROIANI GIOVANNI E C.
GEO TOUR AUTONOLEGGIO SOC. COOPIAZZA R.L. COOPERATIVA TAXI SASSARI SERVICE SOC. COOPIAZZA R.L. CONSORZIO TRASPORTATORI PADOVANI AUTOBUS SOC. COOPIAZZA R.L. PLANET SHOP - EMMEGI VIAGGI S.R.L. FRAM VIAGGI SAS DI FRANZESE ANNA & C.
CONSORZIO APULIA TAXI SOC. COOP. R.L. GELBISON TOUR DI EREDI RIZZO DI RIZZO FRANCESCA & C.
LA GRADESE AUTOTRASPORTI SOC. COOPIAZZA R.L. COOPERATIVA SOCIALE SERVIZI ASSOCIATI S.C.A.R.L. COOPERATIVA ORISTANESE BUS 90 SOC. COOPIAZZA R.L. OLTRANS SERVICE SOC. COOPIAZZA R.L. AUTOSERVIZI PETTINA' SNC DI PETTINA' L. & C.
SANTULIANA A. SNC DI SANTULIANA ATTILIO & C.
AUTOSERVIZI PADULA SNC DI PADULA PIERANGELO & C.
UNIONE RADIOTAXI VERONA SOC. COOPIAZZA R.L.